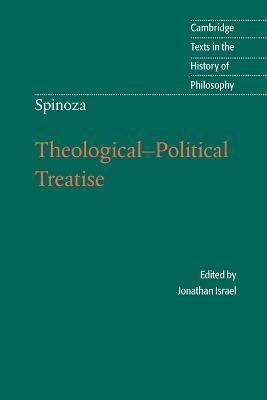 Spinoza's Theological-Political Treatise (1670) is one of the most important philosophical works of the early modern period. In it Spinoza discusses at length the historical circumstances of the composition and transmission of the Bible, demonstrating the fallibility of both its authors and its interpreters. He argues that free enquiry is not only consistent with the security and prosperity of a state but actually essential to them, and that such freedom flourishes best in a democratic and republican state in which individuals are left free while religious organizations are subordinated to the secular power. His Treatise has profoundly influenced the subsequent history of political thought, Enlightenment 'clandestine' or radical philosophy, Bible hermeneutics, and textual criticism more generally. It is presented here in a translation of great clarity and accuracy by Michael Silverthorne and Jonathan Israel, with a substantial historical and philosophical introduction by Jonathan Israel. Introduction; Chronology; Further reading; Note on the text and translation; Theological-Political Treatise; Annotations: Spinoza's supplementary notes to the Theological-Political Treatise. Jonathan Israel is Professor of Modern European History at the Institute for Advanced Study, Princeton. He is author of Radical Enlightenment: Philosophy and the Making of Modernity 1650-1750 (2001). Michael Silverthorne is Honorary University Fellow, Department of Classics, University of Exeter. He is co-editor with Lisa Jardine of Francis Bacon: The New Organon (2000).